In 1972, on the beach of Goa, India, T’ang made the acquaintance of the filmmaker Tom Tam and his girlfriend Martha Sandler. 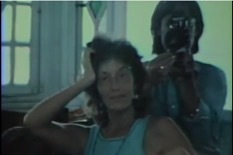 T’ang appears in the psychedelic short film Furen Boogie that was shot on Goa’s beach with his friend Andre Dzierzynski and Martha. Later in 1973, Tom Tam and T'ang conceived together T’ang Boogie which is probably the first film d’artiste conducted by a modern Chinese painter. 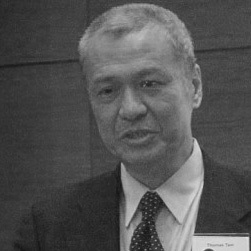 Note by Philippe Koutouzis: In 1994 - 95, while I was living in Hong Kong, I found in T’ang’s papers, an address from Tom Tam in New York. I sent several letters to this address but received no reply. Until my move to New York where Tom, who had finally received one of my most recent letters, contacted me. He lived a few blocks from my house. We met and he told me the story of his meeting with T'ang in Goa and the story behind the conception of T'ang Boogie. To support my research, he gave me the original wheel of T'ang Boogie and put me in touch with Martha Sandler whom I met later.